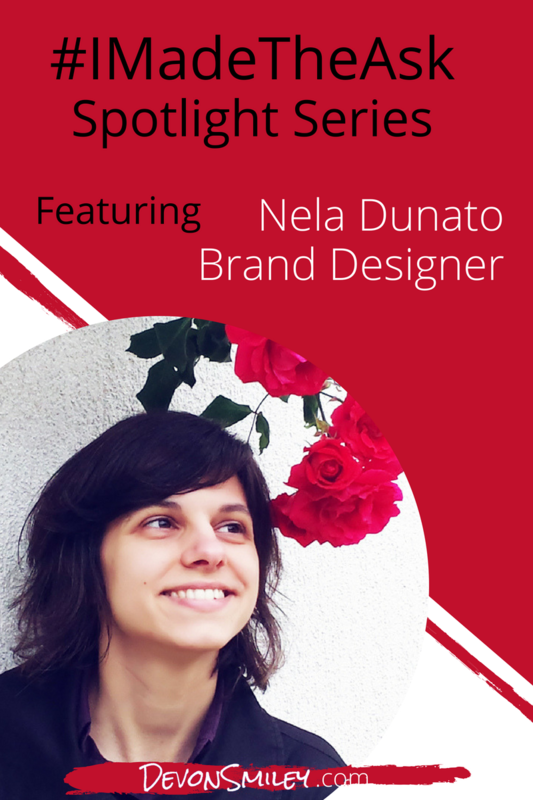 Read on to learn about Nela's business journey, how she leveraged an accepted proposal to boost her rates and why you need to read that contract, no matter how long and boring it may be. I'm a multi-passionate artist, designer, writer, and teacher. I started working as a graphic designer in 2005, and after going through several agency jobs, started my own one-woman design consultancy in 2013. My focus is creating expressive brand identities for passionate service based business owners. I recently self-published my first book: “The Human Centered Brand: A Practical Guide to Being Yourself in Business” that teaches business owners and creatives how to create an authentic brand, and grow meaningful relationships with their clients. I also teach design, marketing, and branding classes and workshops, and speak at industry conferences. My journey has been that of a generalist graphic designer who turned into a branding specialist by incorporating my decades long obsession with symbolism, human psychology, and personal growth practices. I once had a client who asked me to sign a non-disclosure agreement because of the sensitive and competitive nature of their business. I was completely unprepared for that level of engagement. My eyes just glazed over that dense, tiny text and I had no idea what I was actually signing, but I didn't think of sending it to an actual lawyer to look over it. Big mistake. It turns out that their interpretation of what counts as "sensitive information" was every single thing related to the business, including the name of the business, the designs I've created, everything. I wasn't even able to show the work in my portfolio without their written permission. When stuff hit the fan with the client I finally talked to a lawyer friend. He said the agreement was unenforceable and I had the legal rights to my own work, especially since I had an agreement of my own to protect me. But he'd recommend to just move on to save my peace of mind, because the client was acting extremely unreasonable and I didn't want to be around him anymore. I was heartbroken because I was so proud of the logo design I created that I now couldn't show anyone. From then on, I simply refused to sign any non-disclosure agreements. If I lose a gig because of that, so be it! I recently asked a prominent person in the creative entrepreneurship space that I've admired for years to write the foreword for my new book. They couldn't do it, but offered to provide a short blurb instead. I was thrilled about that too, and even expected it because the foreword was a long shot... but I did ask for it anyway. My biggest win was when I presented a proposal for a project that had a fee at a level I have never charged before, because the scope of work and the responsibility were so much higher as well. The client didn't bat an eye and agreed to proceed. This showed me just how much I was undercharging the whole time, and I promptly raised my fees. Get used to asking, and hearing "No"! The first time you ask for something is always unnerving—but the more you do it, the more comfortable you get. The more comfortable you get, the more believable your asks are to the client. Over time, you'll change from a person who was settling with what was offered, into a person who is actively taking every opportunity to ask for what they need and want. The ask you're making right now isn't just about this unique situation, it's about making all your future asks easier. This means that even if the answer is "No", you're still coming ahead.